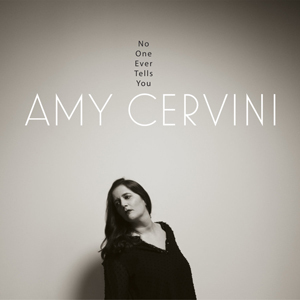 This album, No One Ever Tells You the fifth by Amy Cervini is a characteristically individual account of the blues, a rare event for the idiom in recent times; rarer still for a woman to accomplish at a time when commerce takes precedence over almost every other consideration. It is a recording that unveils slowly – almost too deliciously so – with crisp ideas sung in loping lines that hang heavily in the air thanks to some classic arrangements played in inimitable style by a band that includes Gary Versace (on four tracks) on Hammond B3 organ. Truth be told, however, each of the musicians here is perfect, a vivid accompanist to Miss Cervini as she traverses this beautiful, bittersweet music. Not all of the songs lend themselves naturally to the blues. On “The Surrey with the Fringe on Top”, for instance, Miss Cervini marshals her impressive interpretive gifts and authoritative musicality to turn the romantic subtext of the song into a virtuoso expression of longing, which has been the bedrock of the very best Blues music throughout the history of the authentic African-American idiom. 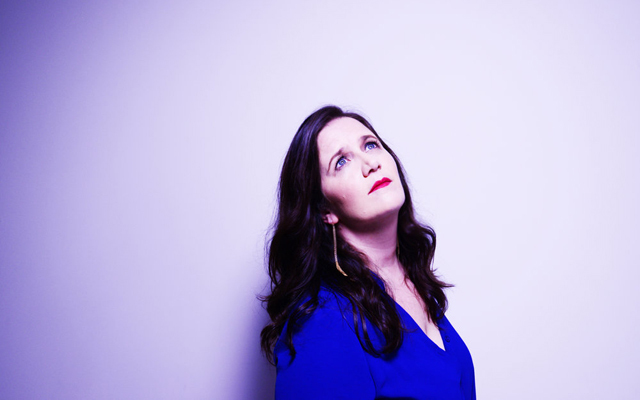 On other songs, such as “God Will”, Miss Cervini digs into Gospel, turning Lyle Lovett’s almost chaste song into something quite magical as she digs deep into its spiritual aspects melding its lyric with some mighty Holy Rollin’. Similarly on “Bye-Bye Country Boy” a song that you would normally “hear” only in Blossom Dearie’s fluttering voice, Miss Cervini’s wry, sculpting of the lines into curvaceous, elongated ones that she makes all her own throughout this repertoire. Then just when you think that performance couldn’t possibly be topped, Miss Cervini returns with a double blow: first she scorches the senses with “One for My Baby”, with Mr Versace (no less) in tow and then she lets “Hit the Road Jack” speak to her in a manner that makes you sit upright as she seems to save the best for last – not only with a song that was an iconic part of many Ray Charles performances, but in in interpretation that breathes new life into Percy Mayfield’s song, which she turns into a mighty drama of feminine revenge. Both the vocal and instrumental performances on No One Ever Tells You are glorious. But it is the unremitting melancholy of with which Miss Cervini treats a classic idiom, turning every song into an evocative tableau that is the signature element of this disc to die for. Track list – 1: I Don’t Know; 2: God Will; 3: No One Ever Tells You; 4: The Surrey with the Fringe on Top; 5: Please Be Kind; 6: A Good Man Is Hard to Find; 7: You Know Who! ; 8: Bye-Bye Country Boy; 9: One for My Baby (And One More for the Road); 10: Hit the Road Jack. Personnel – Amy Cervini: vocals; Jesse Lewis: guitar; Michael Cabe: piano; Matt Aronoff: bass; Jared Schonig: drums; Gary Versace: Hammond B3 organ (1, 2, 8, 9).